Yvonne’s wedding dress came from Richard Antal’s first wife Julie, who worked at a dress shop. The wedding took place at Seville Baptist Church, Seville, OH. Dale Wiley was his brother’s best man and Alberta Wiley was the matron of honor. 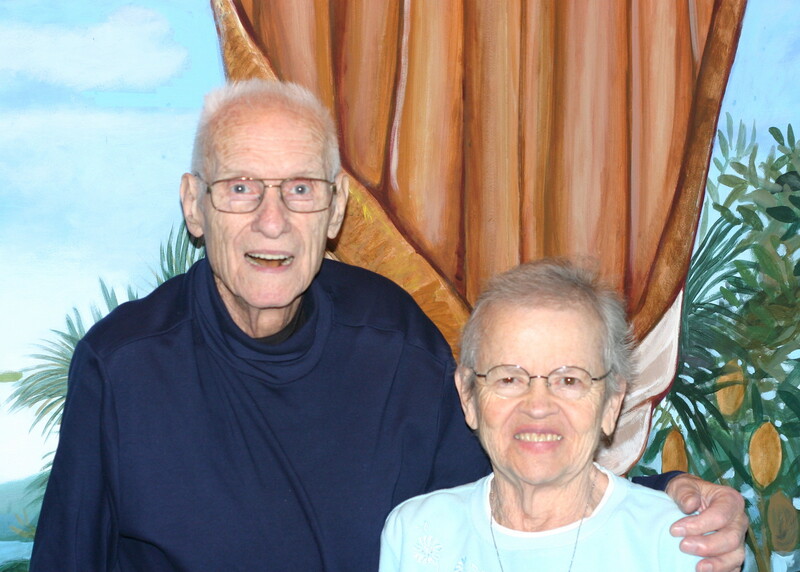 The reception was held in the kitchen of the Gloria Glen home of Stephen & Mary Antal. 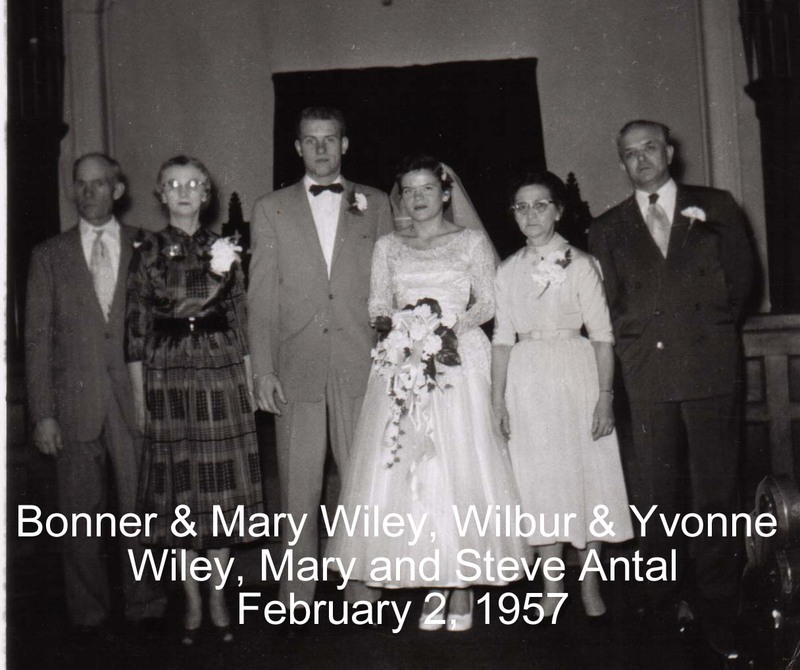 At the time of their wedding Yvonne was working at Henry Furnace (where her mother and brother Richard were working) and Wilbur was working at the blacksmith shop in Granger. Wilbur’s primary efforts at the blacksmith revolved around welding plow points for farm use. They did not take a honeymoon. The Wiley family wanted to give the new couple 6 acres of land. Wilbur and Yvonne decided against that offer. Instead, they moved into a rented home in Gloria Glen just a few blocks south of the Antal homeplace. They later moved to Oak Street in Medina before finally settling in to their Lodi home.